If your loved one has died because of someone else’s actions, you likely want to march into court and demand the responsible party be held accountable for your tragic loss. California law does allow surviving family members to financially recover for losses caused by a wrongful death. However, doing so is not as simple as stating that you believe you deserve compensation. Instead, state law and the courts require strict procedures be followed and legal burdens of proof be met before another party is held liable for a wrongful death. These legal terms can be confusing but a highly experienced wrongful death attorney will fully understand how to prove all necessary elements of a wrongful death case. The following is some brief information about wrongful death elements in California. The death resulted in losses to you and other claimants. A driver has a duty to drive in a reasonably safe manner based on the weather and road conditions. Breach of this duty can occur in many ways, including distracted driving, drunk driving, aggressive driving, violating traffic laws, or other careless acts. A company has a duty to sell products that are safe for their intended use and to warn consumers about potential risks. If a company produces or sells a product that is defective or unreasonably dangerous without proper warnings, this can constitute a breach of duty. A medical professional is expected to provide the level of care that other similarly trained and reasonable professionals would provide in the same situation. If a doctor’s actions fall below that standard and a mistake is made, the duty of care is breached. A property owner has a duty to ensure his or her premises are free from dangerous conditions or hazards. If an owner knew or should have known about a hazard and did not fix it or warn visitors, he or she has breached the duty of care. Once you have established breach of duty, you must then present evidence that the breach of duty caused or contributed to your loved one’s injuries and death. The contact caused fatal harm. In many cases, violent deaths result in a criminal case for homicide or manslaughter, which will be handled separately from the wrongful death case. However, a skilled attorney will know how to use a criminal case to help your chances of recovery for wrongful death. If you can establish the death of your loved was caused by the negligent or wrongful act of another person, the next step is to show you have sustained damages as a result of your loss. Importantly, California courts have consistently held that damages for emotional distress are not recoverable in a wrongful death action. That being said, in many cases, a person asserting a wrongful death claim may also assert a negligent or intentional infliction of emotional distress claim against the same party. The loss of the decedent’s love, companionship, comfort, care, assistance, protection, affection, society, moral support. Establishing these damages is often difficult and requires significant expert analysis. For example, in determining how much a person would have made over the course of his or her career, it is necessary to take a number of factors into account, including life expectancy, the normal course of advancement for a person in his or her position, inflation, and education, skills, and abilities. For this reason, demonstrating these damages in the course of a settlement negotiation or trial often requires the presentation of substantial evidence and the assistance of an attorney can be invaluable. Overall, proving the elements of a wrongful death can be complicated, though these elements are required in order for you to recover. 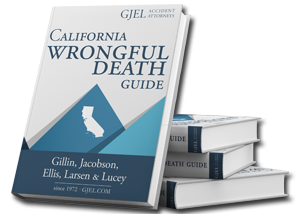 A member of the experienced legal team at GJEL Accident Attorneys can help you bring a successful wrongful death claim, so please call 866-218-3776 for a free consultation today.